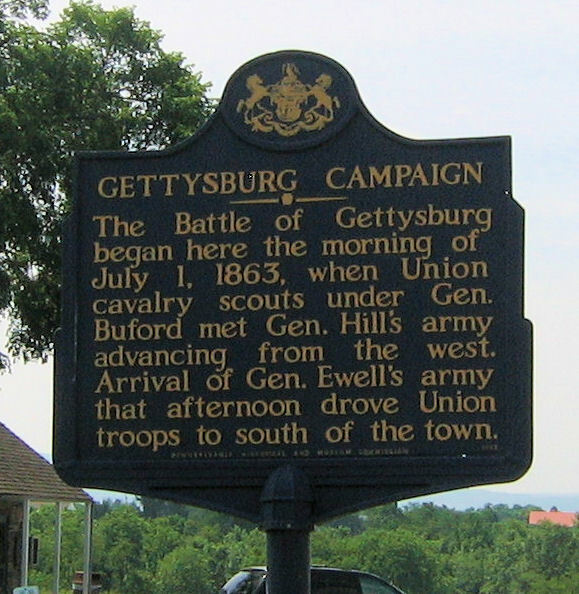 Living within an hour of Gettysburg, and having a father who was a Civil War buff, I’ve been to the Gettysburg Battlefield many times. 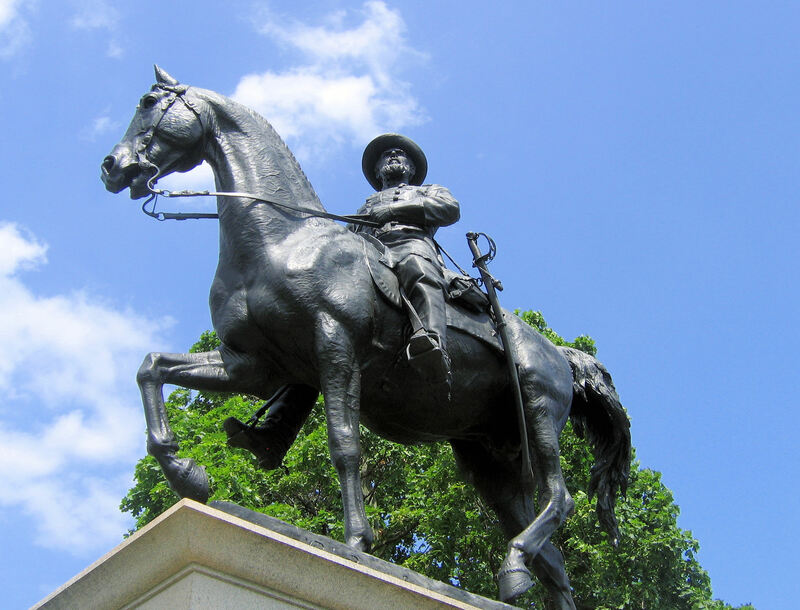 Of the multitude of statues and memorial markers (which number in the thousands), General Reynolds’ equestrian statue has always been one of the most memorable to me from an aesthetic perspective. 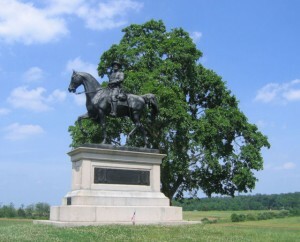 This statue is along the portion of Route 30 that runs through the battlefield — it is just across the road from where the battle began on July 1, 1863. General Reynolds perished on the first day of the Battle of Gettysburg. 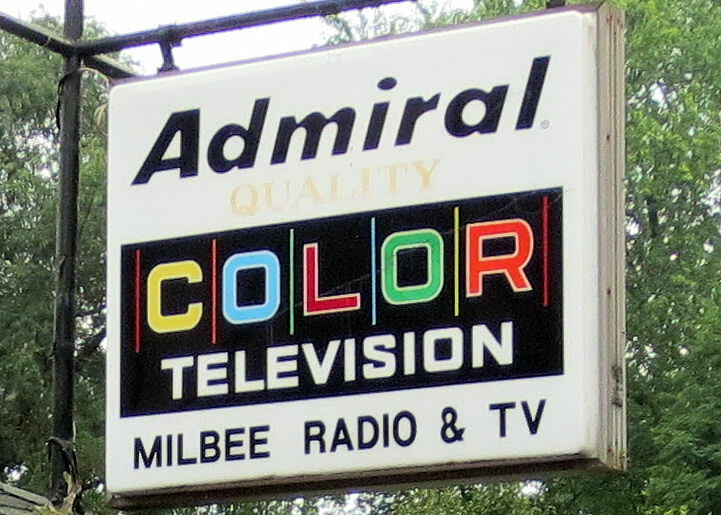 He was the highest-ranking officer (on either side) to be struck down during the 3 days of intense engagement. Whether he died from an enemy volley, a Confederate sharpshooter, or “friendly fire” has been a subject of debate among historians. 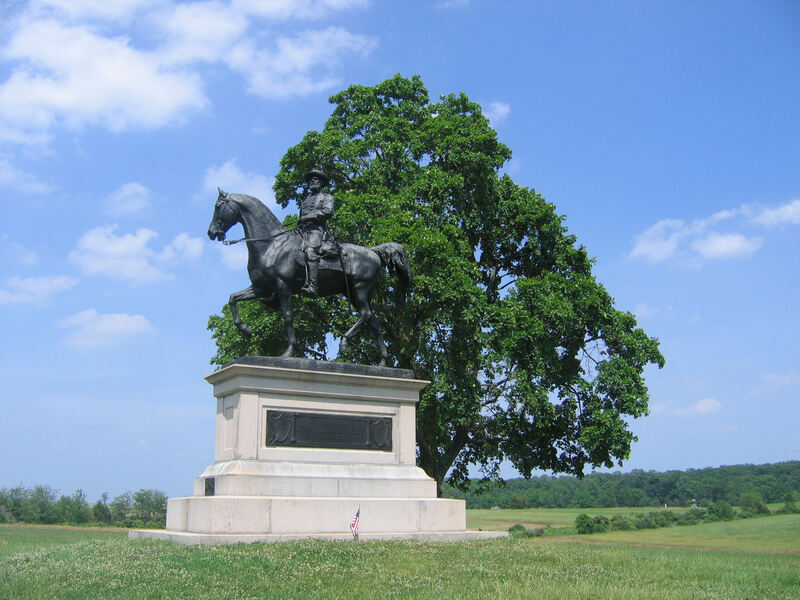 this statue memorializes the General, but it is neither the place of his death nor his final resting place (as some seem to believe). There is a separate memorial at the estimated spot of his death and his grave site is in his family plot in Lancaster, Pennsylvania.